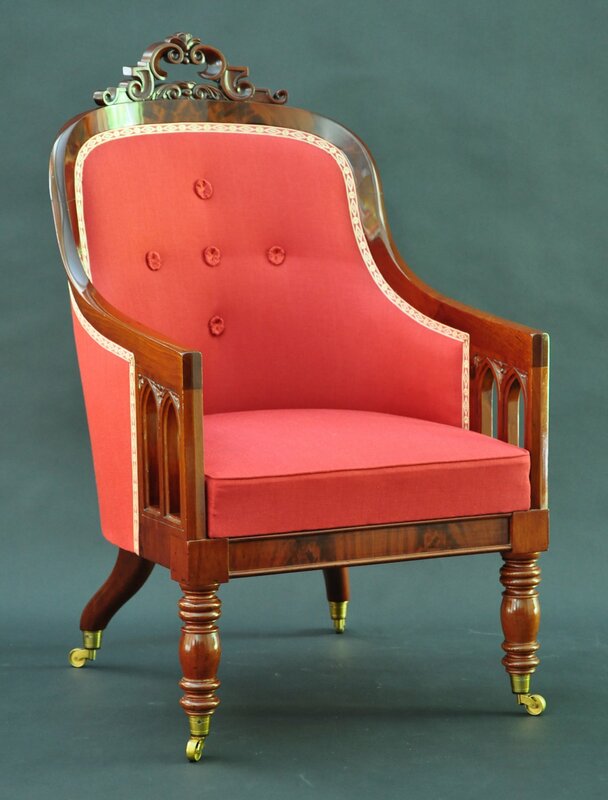 This Classical bergere in the gothic taste is a rare form not often found in American Classical furniture. 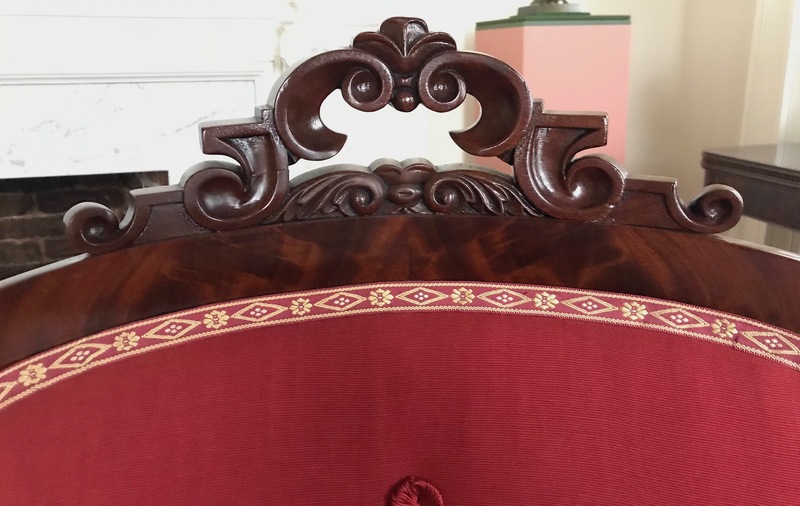 The handsomely shaped arms terminate in double open gothic arches punctuated with delicate foliate carving. 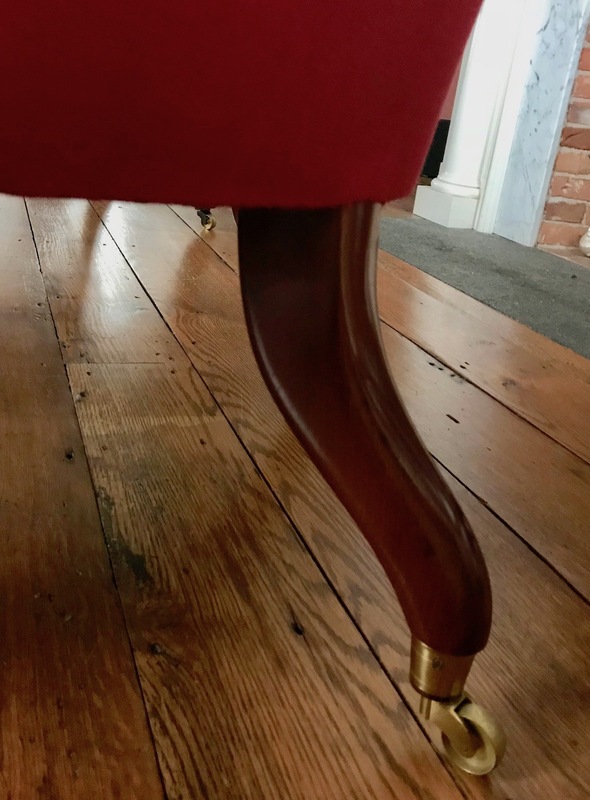 The turned front legs and outward raked back legs are supported by original casters with gilt lacquer finishes. 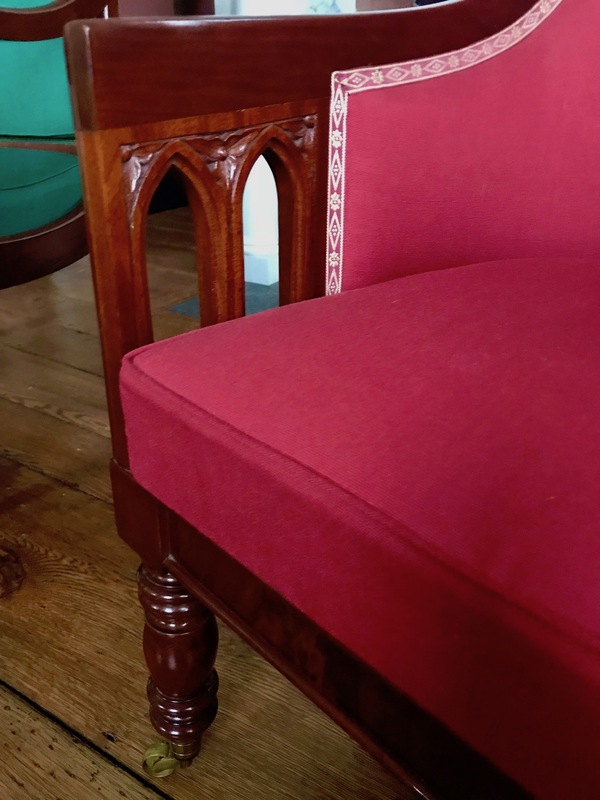 The frame is covered in a Scalamandre harateen following the original upholstery model.